Winter Sand. Courtesy of the artist. Melanie Cosgrave, an Australian artist based in Dubai, is one of the artists Capsule Arts commissioned for Nikki Beach Resort & Spa. We were immediately attracted to her striking pieces and style, which fit Nikki’s overall theme perfectly. We couldn’t help but feel intrigued and curious about her work, and wanted to know more. Melanie was more than happy to answer all our questions about her inspiration, her Sea Spray Series Dubai, her work process and her love for mixed media and large canvases. The Pier Dubai. Acrylic oil wax mixed media on canvas. 107 x 100 cm, Diptych. Courtesy of the artist. 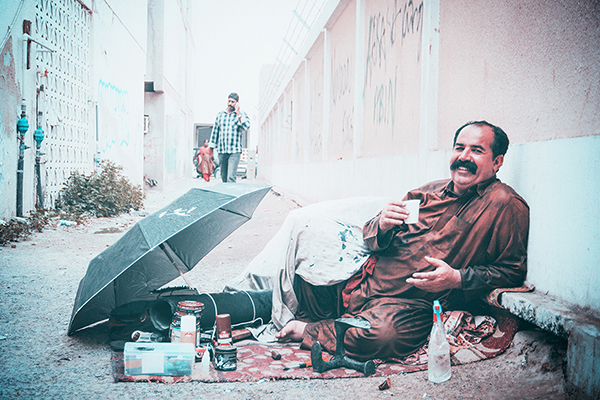 You’ve lived and worked in Dubai for 10 years now, what influence has that had on your work? I develop my inspiration from day-to-day experiences; a huge part of my life in the UAE is spent near the beach enjoying the waters and sands, even in the hottest months! The serenity and tranquility helps clear my mind and allowed me to embrace my creative vision. Sea Spray Series Dubai. Acrylic oil wax mixed media on canvas. 180 x 120 cm. Courtesy of the artist. Your work fits Nikki Beach Resort and Spa’s look and feel beautifully. You seem to have a lot of artwork in that style and color theme, any special reason why? The similarity was pure coincidence! However, like Nikki Beach, I aim to celebrate life everyday. You see that in the four main elements that I focus on and continue to appear in my work, which are: the sea, the sky, sand, and light. These elements provide me with endless inspiration, which is why you find them appear in my work from time to time. Left: Morning Water. Acrylic oil wax mixed media on canvas. 75 x 75 cm. 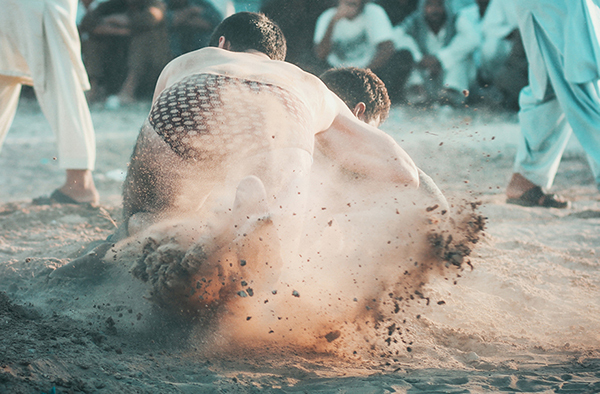 Right: Sea Spray Series Dubai. Acrylic oil wax mixed media on canvas. 90 x 90 cm. Both paintings courtesy of the artist. Tell us more about your Sea Spray Series Dubai? Sea Spray Series is a body of work that brings a common thread through a series of paintings about the sea in the UAE. The main inspiration, which you see reflected in this series, is offshore spray during Dubai winters. The colours come from the water foam on the sea’s surface. I grew up in Melbourne, Australia, by the sea. I think this brings an underlying surface within my work as I draw on my memories of the water and colours from the sea in a very different landscape. These colours that emerge in my work here in Dubai emulate both memories and living experiences in the present moment. Can you give us an insight of your work process? Do you plan and sketch out your series beforehand or do you paint as you go? I never plan my process. However, music plays a significant part in the development of my work; and that’s how it evolves. Some of my works take a while to complete; as I keep coming back to it until it has a life of it’s own. Left: Desert Dwelling 1. Right: Desert Dwelling 2. Both courtesy of the artist. You use a lot of mix-media in your paintings, what medium(s) do you enjoy using the most? I love working with mixed media; it is the foundation of all my work. I enjoy the experimental nature that mixed media gives as it allowed me to have the freedom to create new and interesting work. I am very hands-on when it’s comes to my work and mediums such a graphite, charcoal, plasters, acrylics and oils, gold lead, threads, pastels. I also use different old papers from my travels over the years; some of which have calligraphy imprint on them from China and the Middle East. My work usually begins with dark, solid colours along with layered media, such as printed text and textured papers. However, as I work and rework the canvas the overlying layers become lighter in colour – this also subtly conveys depth to the surface of the painting. After the Desert. Acrylic oil mixed media on cavas. 90 x 90 cm. Courtesy of the artist. You seem to enjoy painting bigger canvases and talk about “letting go and see what happens”, what attracts you to painting large-scale abstracts? Painting on large-scale canvases gives me the opportunity to create something powerful and striking. I like to see the effects of mixed media on a large surface; often when working on larger surfaces things are never what they seem at close up, as how they appear from afar. This always intrigues me, especially when I have to stand back and look at the visual effect it emits. 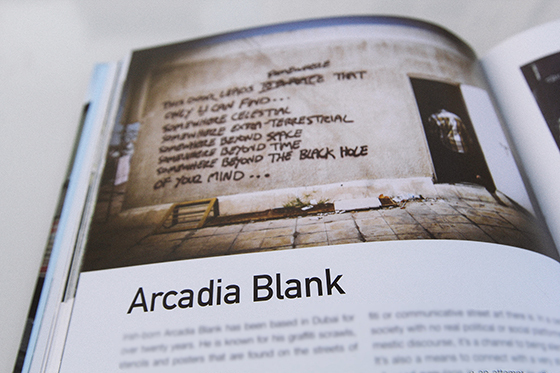 Congrats to Dubai’s own Arcadia Blank (@metatronisbored) for being featured in Nicolas Ganz’s new book 'Street Messages', along with 80 other artists from round the world who work or have worked exclusively or partially with text including Flint, Samo (Basquiat & Al Diaz), Jenny Holzer, Banksy, Ron English, Know Hope and Murad Subay. Ganz is the author of the classic graffiti documentary 'Graffiti World', and his book features a forward by American photographer and graffiti historian, Jim Prigoff. 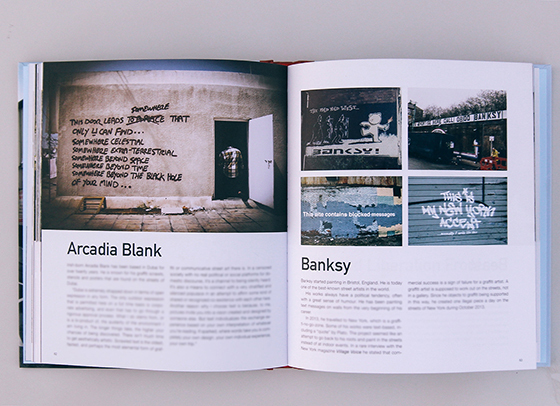 'Street Messages' is the first publication that delivers a deep insight into this literary form of expression in the world of global street art and offers a historic background to written messages in public spaces. The vast body of information and numerous exclusive quotes and words of wisdom makes 'Street Messages' the first book to shed some light on this as yet undocumented form of street art culture. 'Street Messages' is published by Dokument Press and is available at all good book stores across Europe and the U.S, and on Amazon.com. 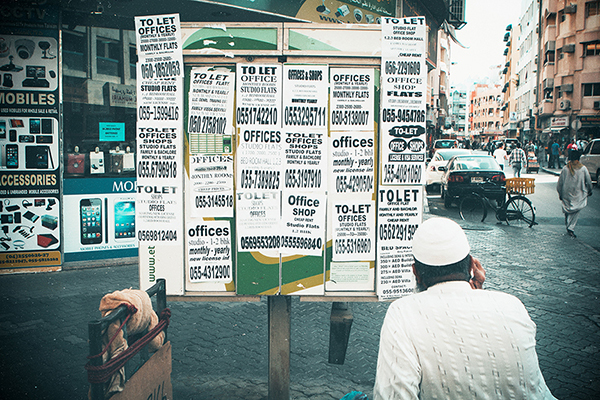 Arcadia Blank is featured in our limited edition print collection with a series of the artist's own photographs of his street art around the UAE. See our full range available for sale online here. What is it? The launch of new book 'Dubai: Behind the Scenes' by Jalal Abuthina. 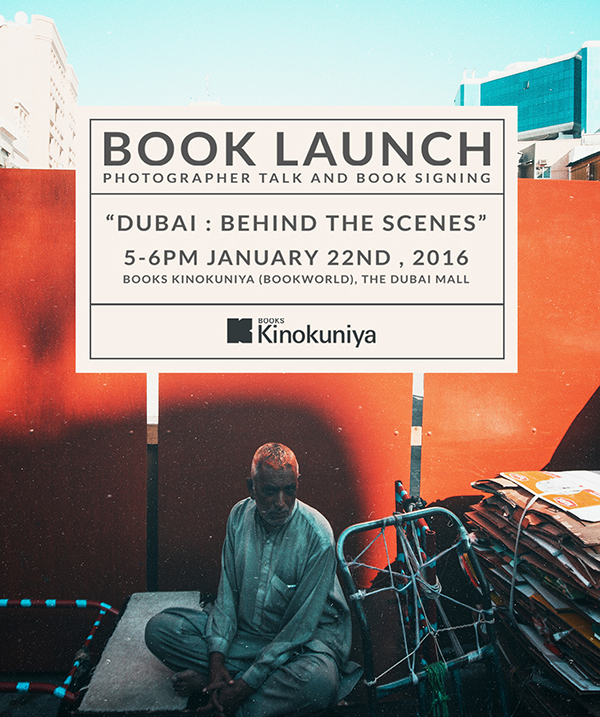 There will also be a talk with the photographer.Date: January 22nd, 5-6pm Location: Kinokuniya (Book World), Dubai Mall. Free Admission. 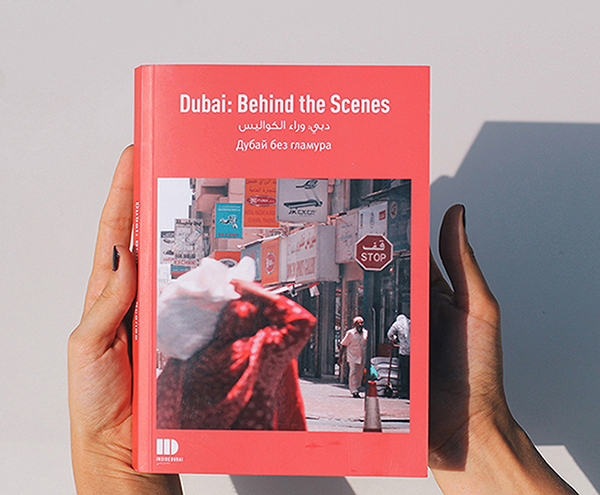 The Capsule Arts team can't wait to get our hands on this new book, 'Dubai Behind the Scenes', by Dubai-based photographer, Jalal Abuthina, which launches this weekend at Kinokuniya. 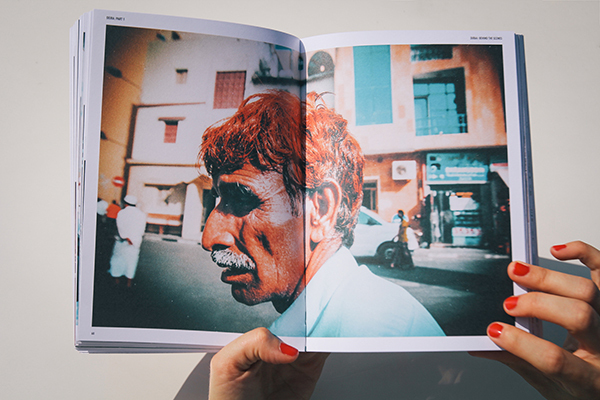 One of 3 books that are part of the "Inside Dubai" (@insidedubai) collection, "Dubai Behind the Scenes" (DBTS) is a photographic account of contemporary city life in Dubai that has been produced as a counter-narrative to the city's ever popular image of opulence, modern architectural marvels and headlining superlatives. 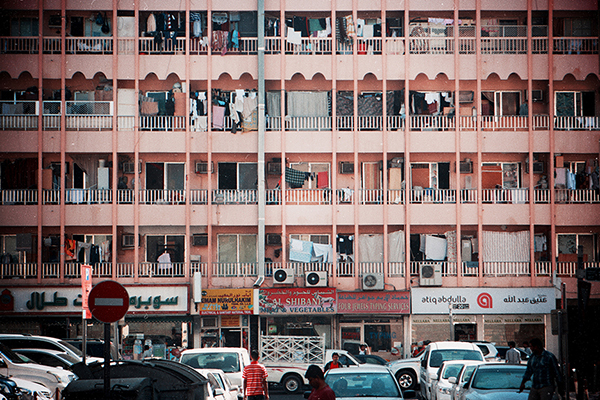 Captured and compiled by photographer and long-time Dubai expat Jalal Abuthina (@lazyretina), DBTS is an in-depth photographic journey through the streets of Dubai's original downtown areas of Deira, Bur Dubai, and Karama. 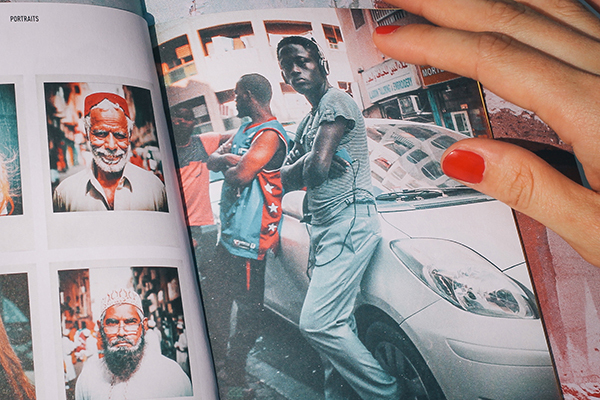 This 210 page visual narrative is an incomparable look into the more humane and under celebrated side of the city and it's residents, and is presented in an engaging and educational style that is a true eye opener for tourists and newer expats to the city. DBTS also features an introductory foreword and historical account of the city by renowned urban historian and author Yasser Elsheshtawy , Associate Professor of Architecture at United Arab Emirates University, Al Ain. 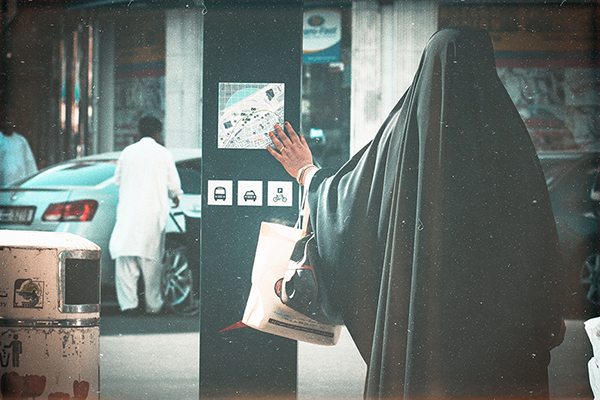 Elsheshtawy, who has recently been appointed to curate the UAE Pavilion at the 2016 Venice Biennale, has written extensively about the circumstances and dynamics surrounding Dubai's rapid urbanization. His blog, "dubaization", has been hailed by The Guardian as one of the best city blogs in the world. All text in DBTS has been translated into Arabic and Russian. 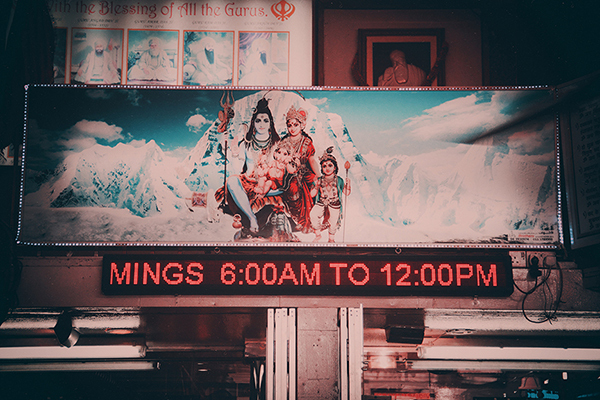 There will be forthcoming launches later this year for the other two titles in the Inside Dubai series: 'The Best of Dubai Shop Names' and 'Memories of Satwa'. Capsule Arts is a boutique art consultancy founded in 2012 to bring bespoke art commissions to interior design projects across the Middle East. Where is my Shark? 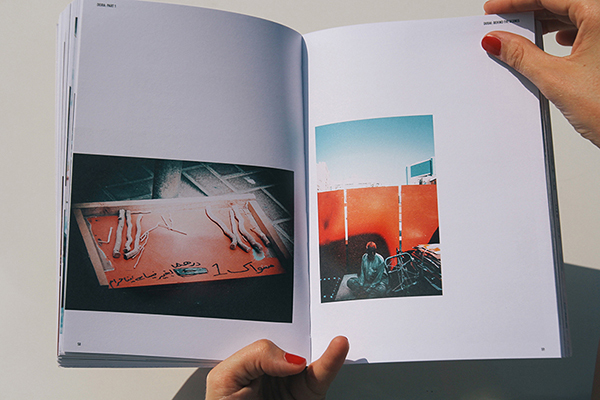 is a journal by Capsule Arts where we share our interests, thoughts, ideas and activities.